A follow-up on some of the kitty cushions done earlier. Maybe for some they like simply to stare into the hypnotic eyes of cats. They appear in 3 sizes (good things usually come in 3s don’t they? )…A small wrist cushy for mouse catching action, a medium neck cushy for tv binge dates and the large which sits nicely between your tablets/laptops and well, your lap! Kitty cushies are fully handmade. 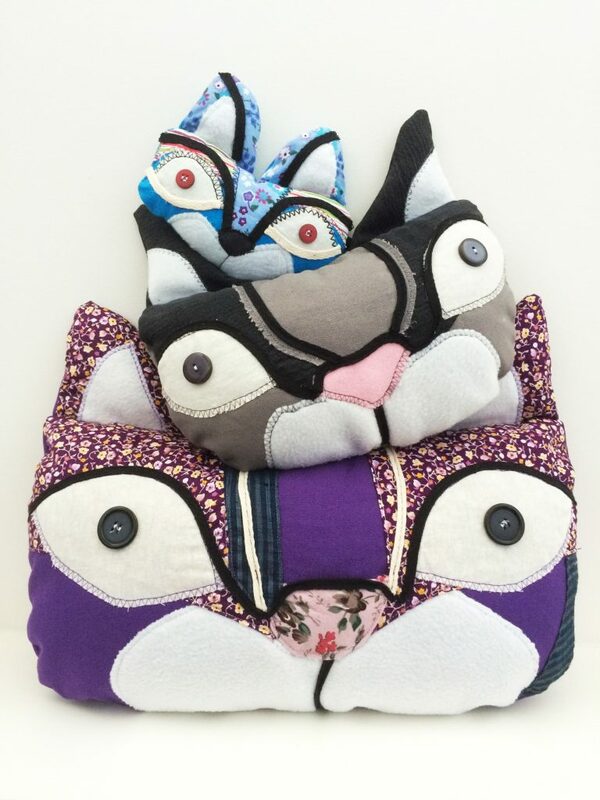 These kitty cushies love keeping you (& your ipad/book) company during the lazy afternoon or night in. *If you like cats but is unfortunately allergic to them, then this may just be the answer for you*. These kitty plushies certainly love a place in your homes.